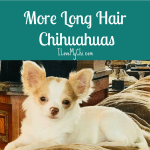 Last week we featured White Chihuahuas. This week we are showing the cutest dynamic duos. 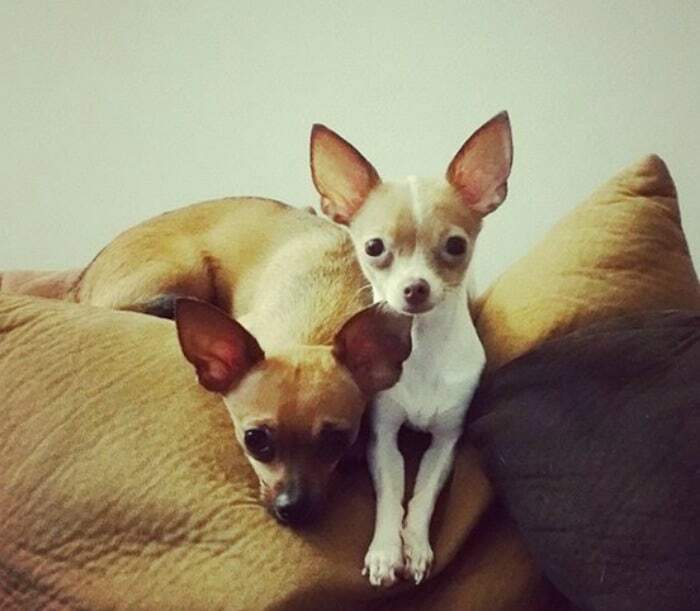 That is 2 Chihuahuas together. They can be litter mates or best friends or whatever. 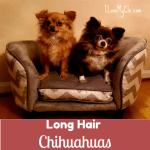 They are just photos of two Chis together that look adorable together. 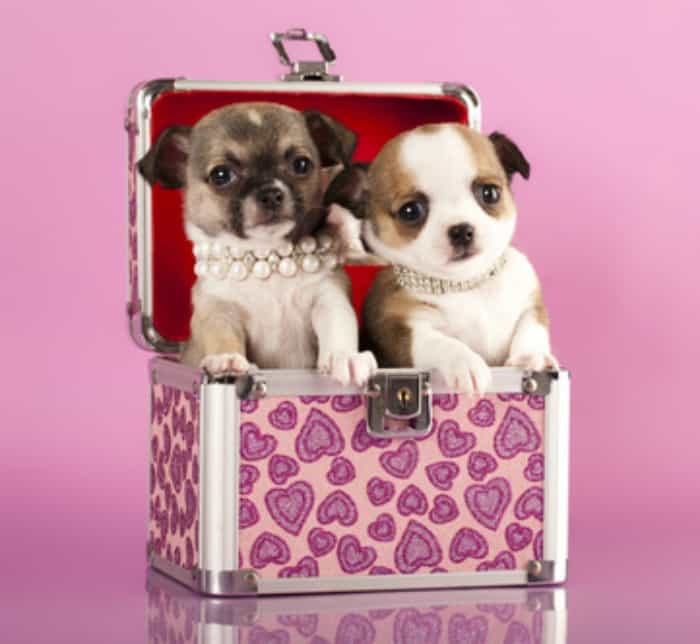 Did you know that most Chihuahuas prefer the company of other Chihuahuas over other dogs. I guess you can say they are a little cliquish. 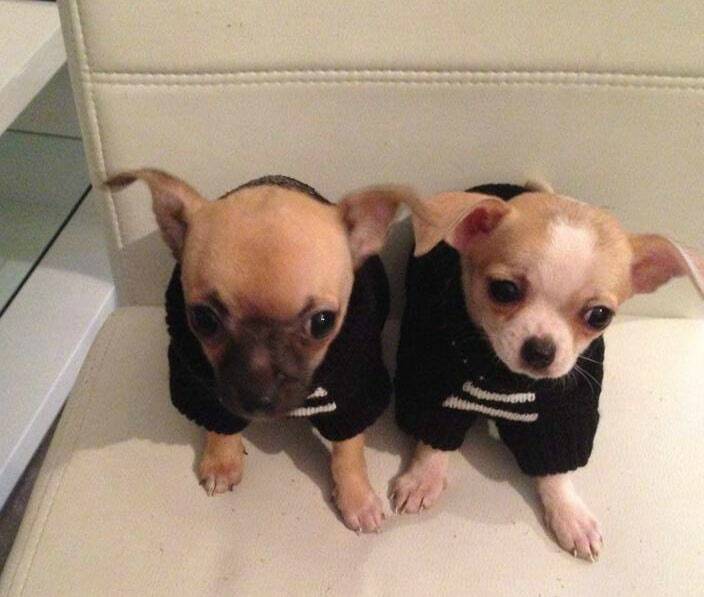 Again, I don’t know all the names of these Chihuahuas or of their parents. If I know it, I’ll state it below the photos. These 2 babies are posing so pretty. 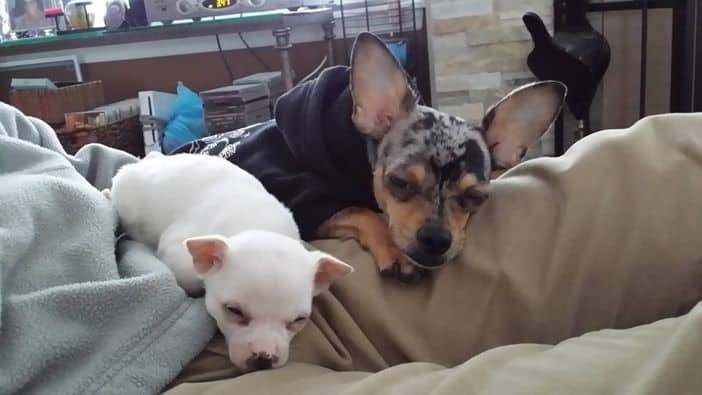 The one on the left looks like a Blue Merle and from what I can see from the Chi on the right, it looks like a Pied or possibly a Splashed Chihuahua. These two belong to Anabelle Vauvy. 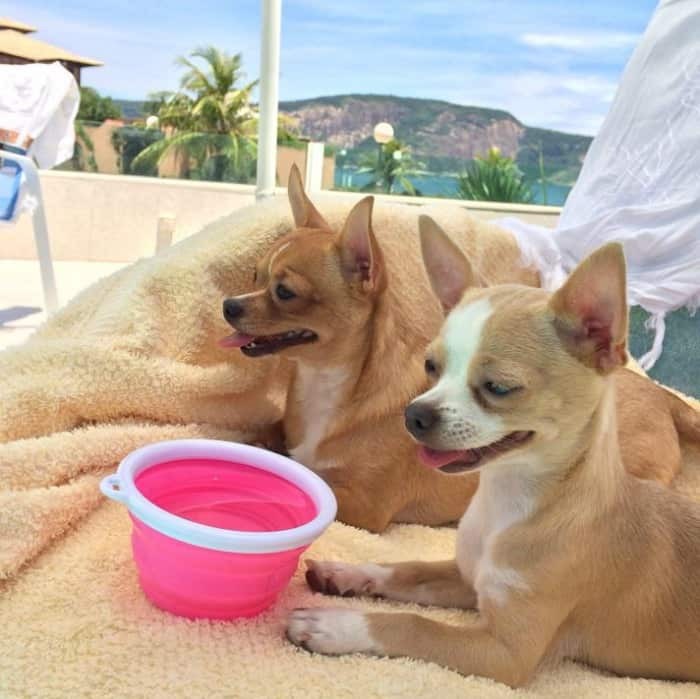 These two cuties are Zhubito & Zhabita and they are loved by Jobel Lop. 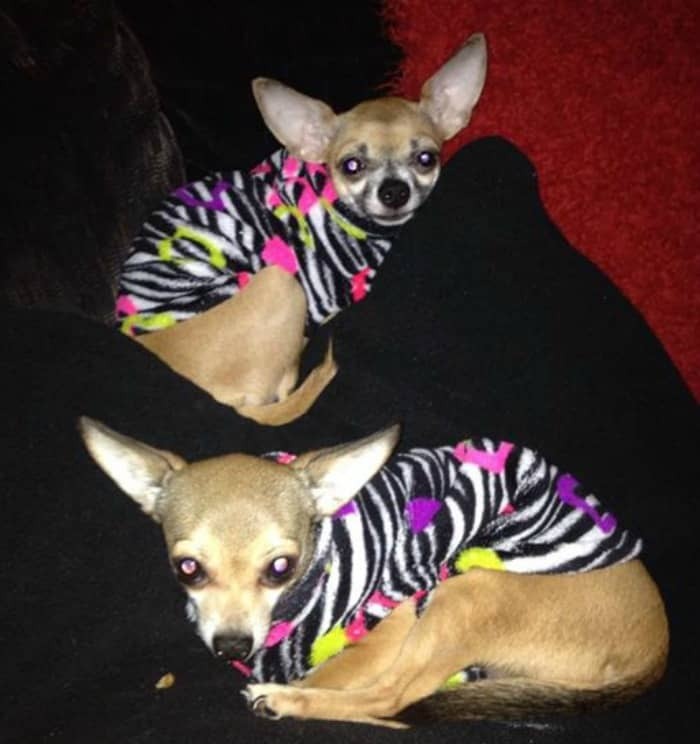 The one on the left is your ever popular Fawn and the Chi on the right looks like a Splashed or possibly a Pied. These guys look pretty perky, don’t they? They are 2 boys and their mom is Camilla Rasmussen‎. 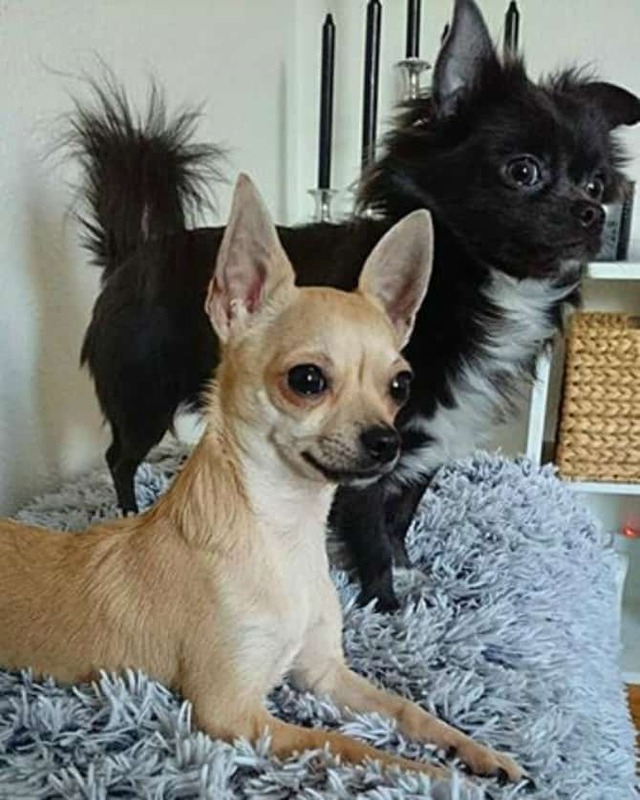 The one in the front is a Fawn and the one behind him is a long haired Black and White Chihuahua. Aren’t these two beautiful? 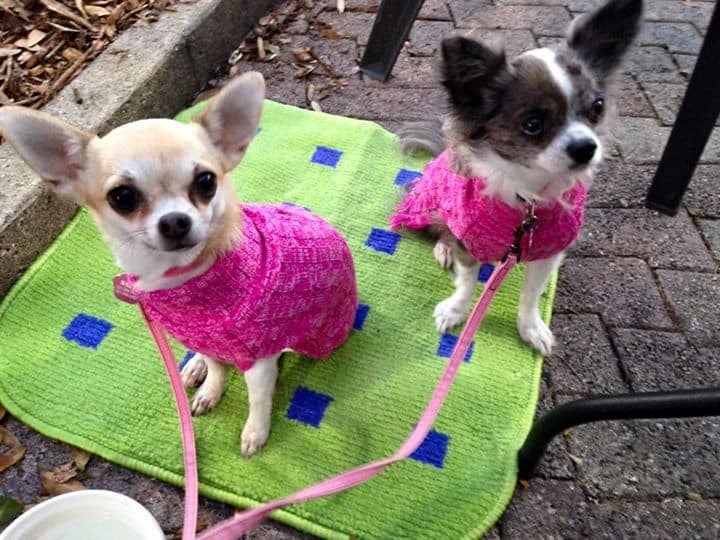 And I adore their little matching sweaters in my favorite color! This is Baby and Jewel and their mommy is Suzanne Fischer Leichtling‎. 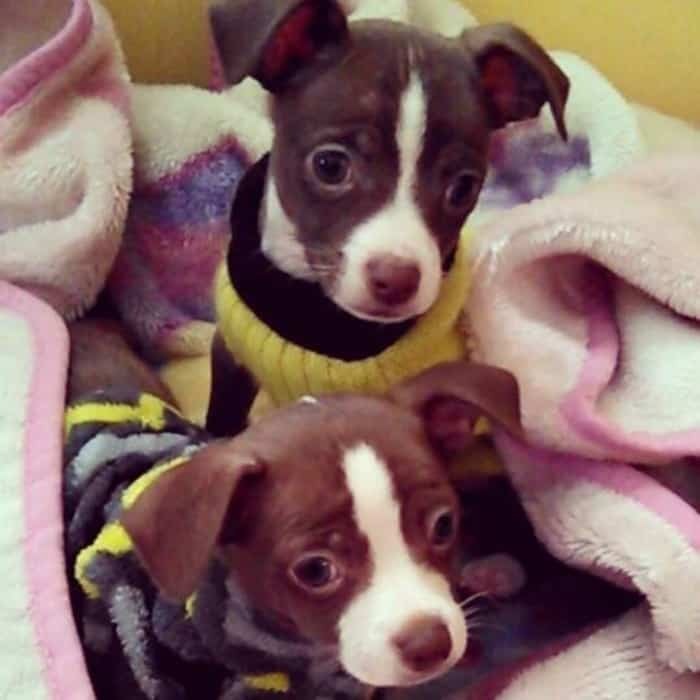 I can’t tell for sure since their sweaters are covering a lot but the left Chi looks likes Fawn and White and the right Chi looks like a long haired Brindle. 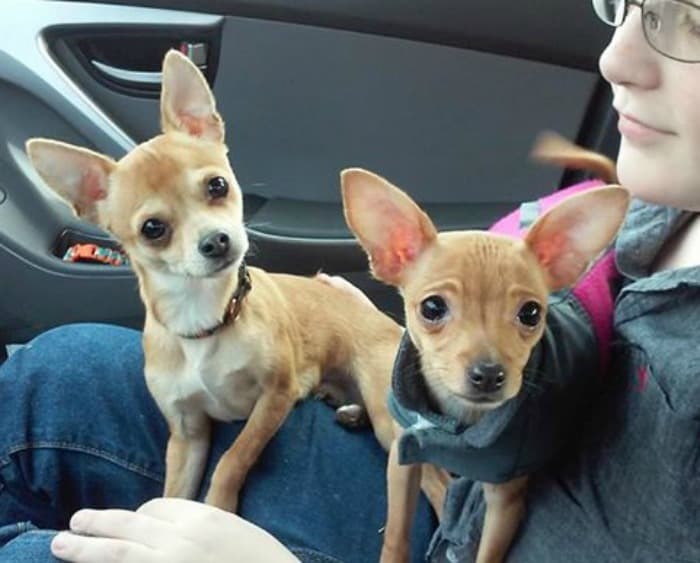 Peanut and Mini are two cute little Fawns enjoying a day out with their mom Mandie Havunen Voyles. 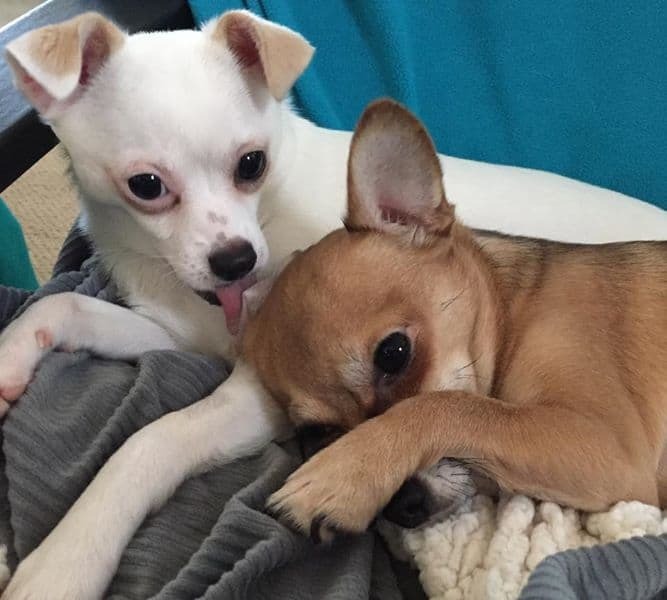 Luna is the white one and she is a Chi/Jack Russell mix and Fiona is the Fawn Chi-weenie. These two love cuddle time. Their mom is Johanna DuHaime Cheong‎. 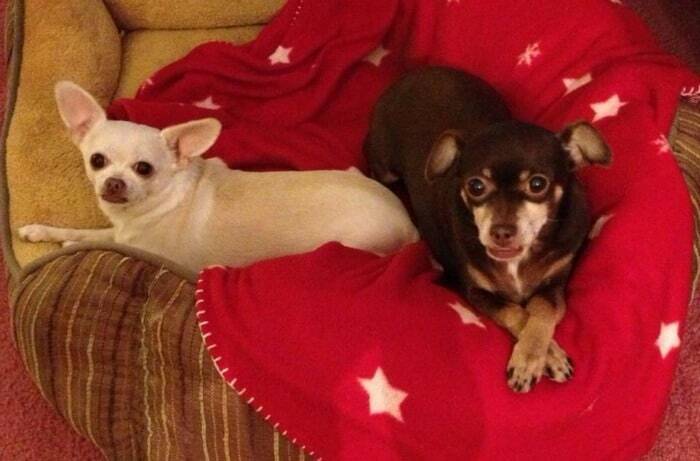 Connie Finnegan‎ is the mom of these two beauties. 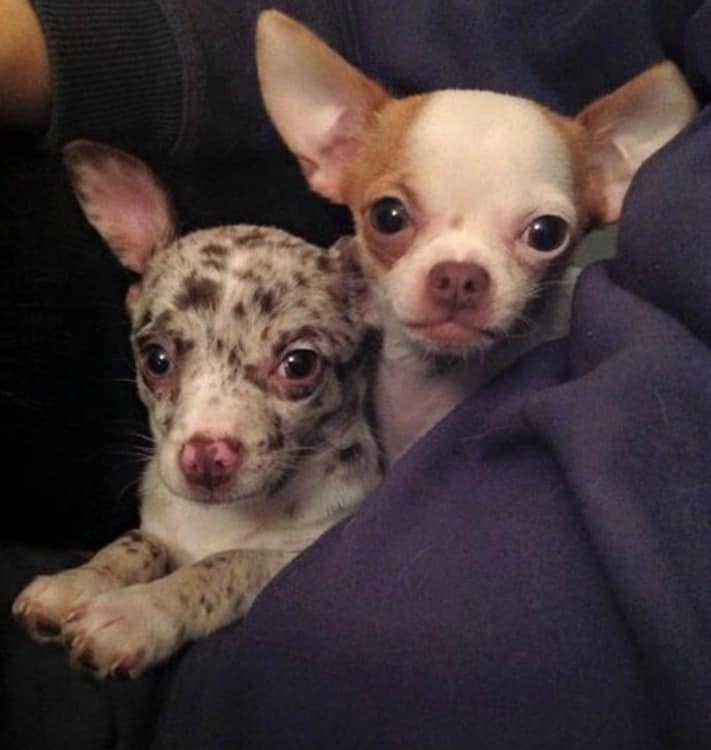 Of course the one on the left is a white Chi and the one on the right is a Merle Chi. These 2 little girls are sisters. They are both Fawns. 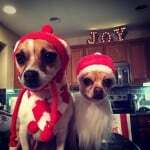 Their names are Ava and Fanci and their mom is Judy Ferstler Chaney‎. I don’t know who these two puppies belong to, but I do know they are sisters. 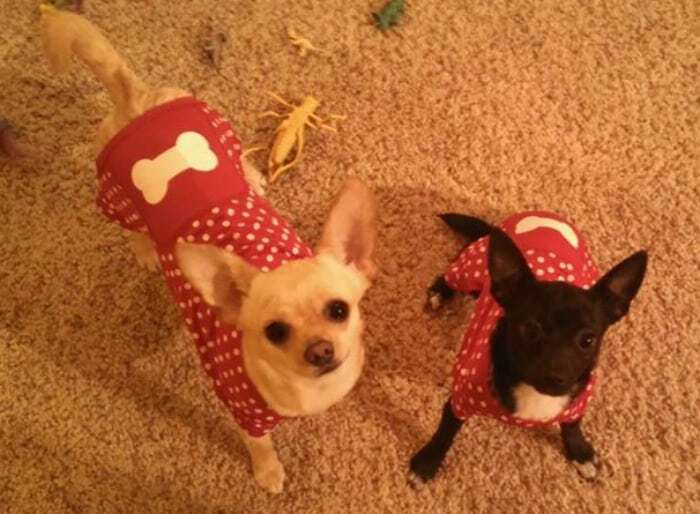 So cute in their little outfits! 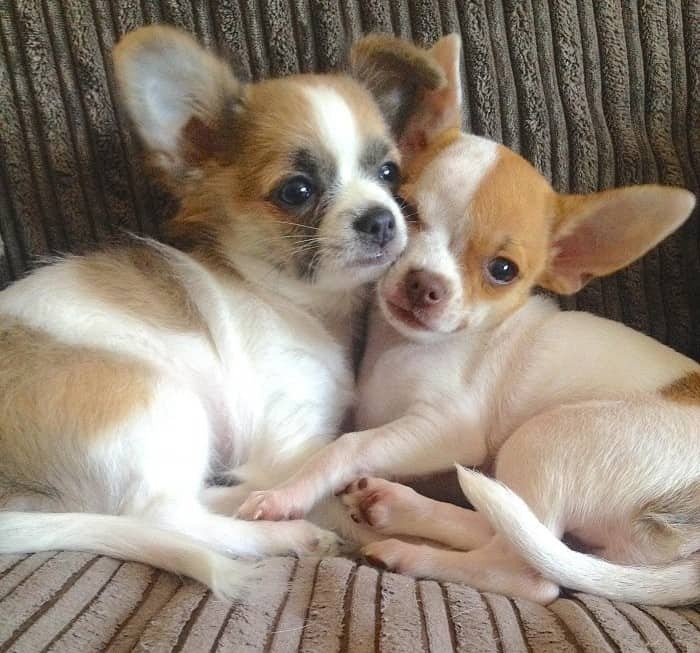 I don’t know who these two Chihuahuas belong too but I’d bed they are girls. The one in the back looks like a Blue and the one in the front looks like a Chocolate and Tan Chi. These two gorgeous boys are brothers named Disney and Lucky. Their dad is Andy Clarke. 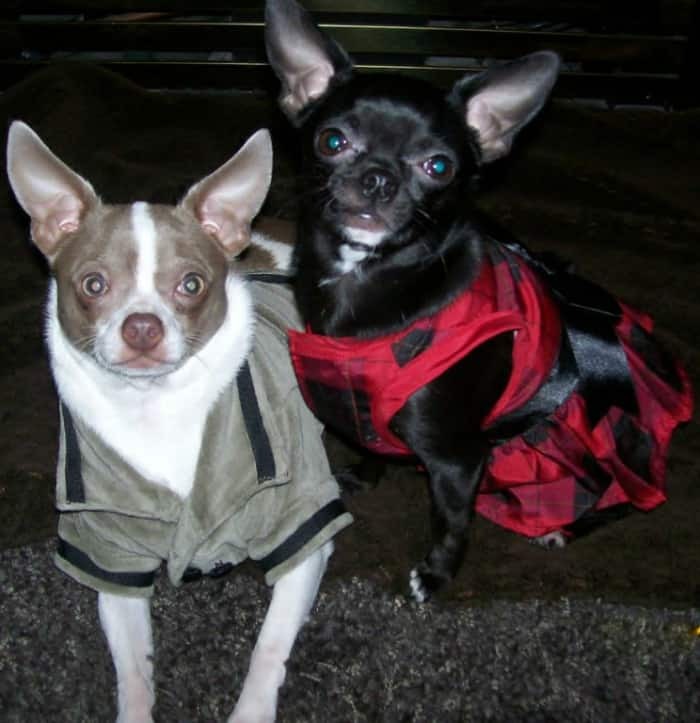 These cuties belong to Bettee Giles. The big guy is the older brother and the little one is the younger sister. I don’t know who they belong too but I can tell they are loved. Both are Fawns. These two look enough alike, they are obviously siblings. They are Irish Marked Chis. Their mom is Breanna Larsh. 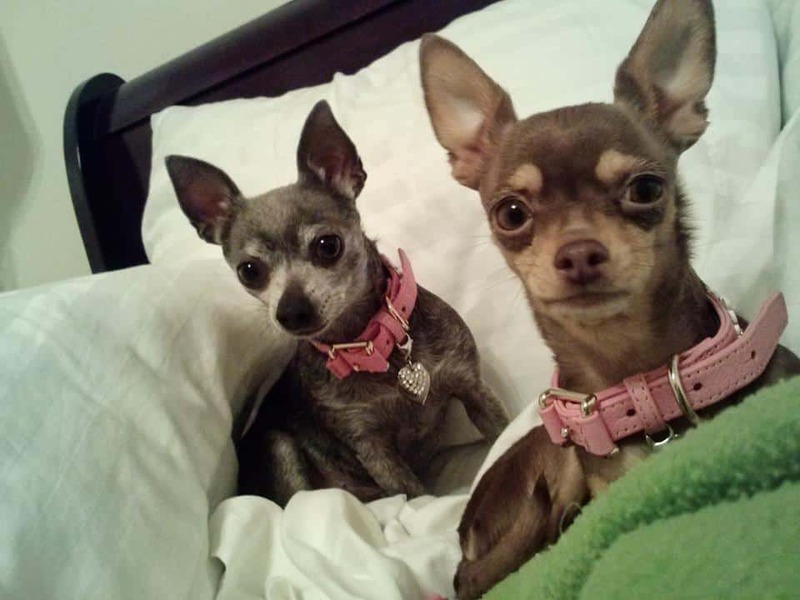 These little Chis are named Brownie and Y.T. I don’t know who the pet parent is. Isn’t this a wonderful beach scene? These two are Irish Marked Fawns. I don’t know their names but their mom is Maria Augusta Mangonari Segalote‎. Love their matching outfits! I don’t know their names but their mom is Suzanna Braunig-Brock‎. The one on the left is a cream and the one on the right is a black and white. Aren’t these two gorgeous? They look like they may be blood related even though is obviously smooth coated and the other is long haired. 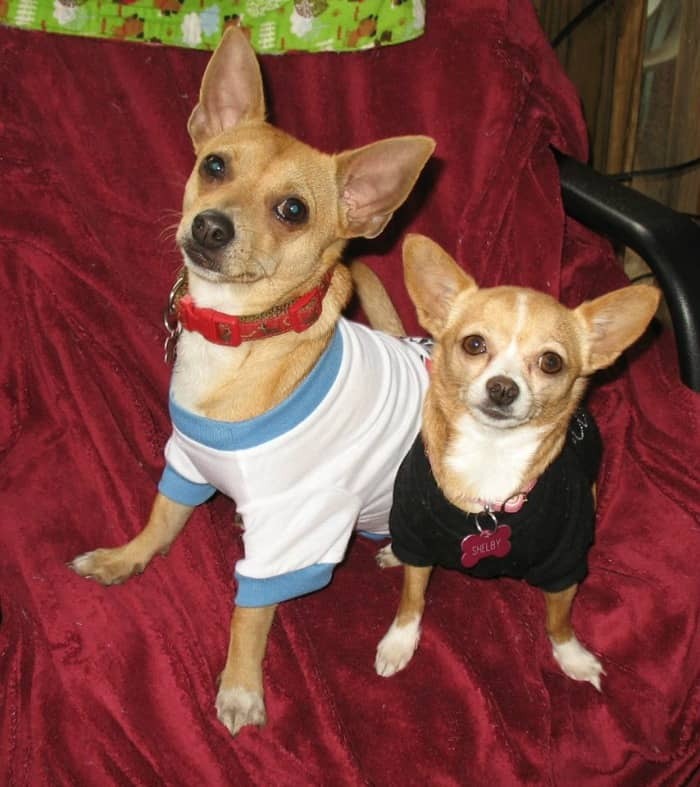 These two are considered Marked Chis because they are mostly white with just a few splotches of black on them. Their mommy is Paula Baldocchi Renzetti. 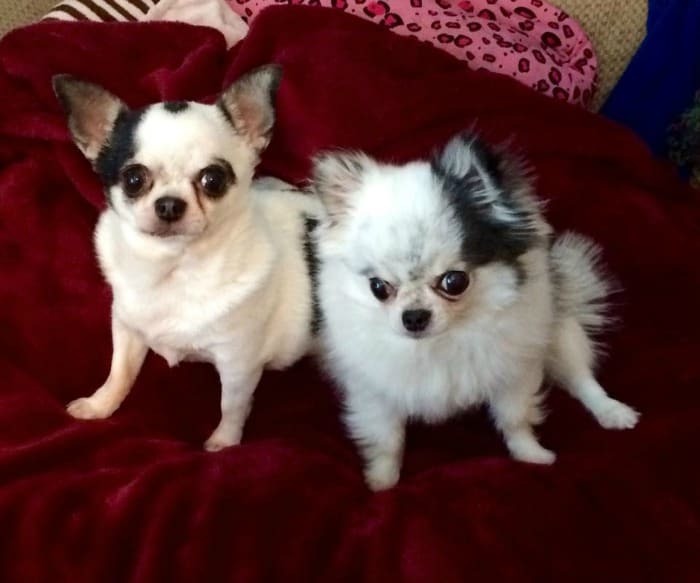 These two white beauties are Lola Bean and Bella Boo. Their mom is Kari Porter. This is just a stock photo I have but I think it’s freaking adorable so I had to include it. Hope you enjoyed these sweet couples! They are all so irresistible! 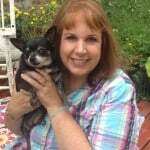 Then again, I’m partial to a Chihuahua! 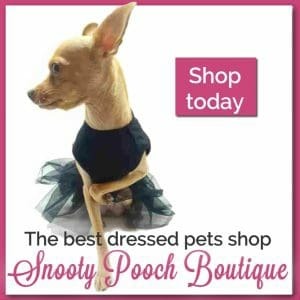 Stopping by from the BlogPaws hop! Thanks for stopping by! I’ll be by to visit your post shortly. That’s a whole lotta cuteness! Yes they are! Thanks for visiting Taryn! These are some cute duos! Yes they are! Thanks for visiting! They are ALL too cute for words. And so tiny. What fun it must be to dress them up. It’s fun to dress them if they like it. Mine hates it and makes it hard to get a sweater on her when she’s cold. 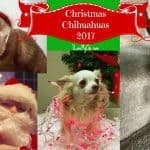 That is a lot of cute Chihuahuas! I had no idea there were so many different types/breeds! 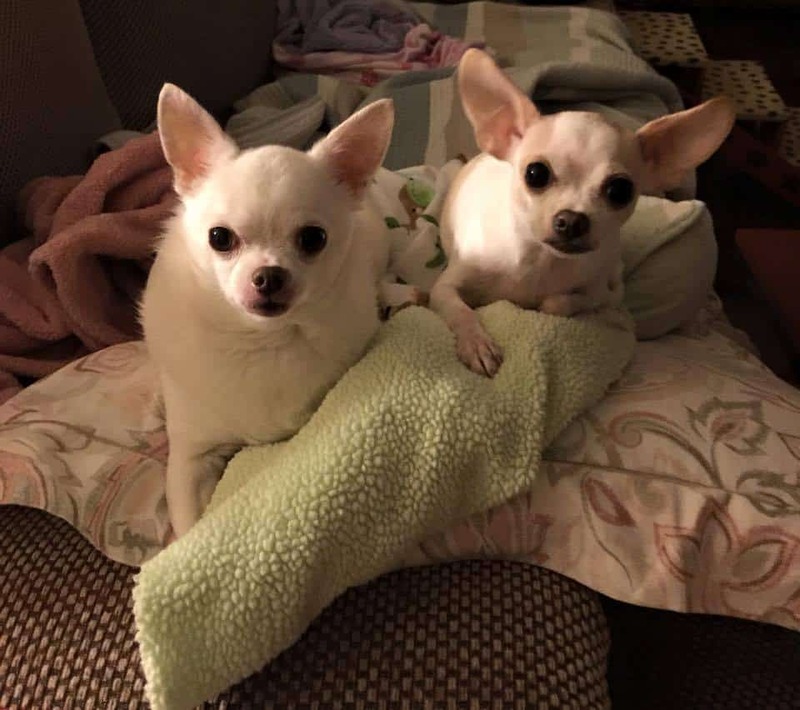 I would have to say the two Irish marked Chis from Breanna and the fawn ones called Peanut and Mini are my favourite from these photos…such cute faces and expressions! I know Teresa! 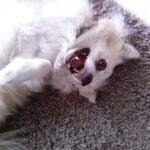 They say Chihuahuas have the most variety of all dog breeds. Thanks for coming by my blog – A Bowl of Noodles. 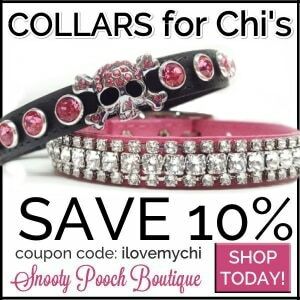 These are some cute pix of chi pairs. Pugs are kinda the same in that they don’t necessarily like all dogs. In fact, I prefer humans to dogs – even to other PUGS! So glad you stopped by Noodles! Yeah they are all pretty cute! Thanks for visiting guys! Thanks for the compliment Theresa! I didn’t know that there was a Blue Merle Chihuahua…..how adorable! I just love that coloring on any dog, but of course all of these here are adorable! Yeah they have loads of different patterns and colors! Thanks for visiting Jan! 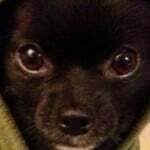 I wonder if that is why my two chi mixes (Chug and a Chi mix ed with no clue) stick together so much. I assumed because my other dog is a English Mastiff. They are all beauties, thanks for sharing. Made my morning. I have a question, what is Irish marked, I’ve never heard of it before? So glad you enjoyed it Theresa! Irish marked is when the coat is a darker color and the chest, neck ring, legs and a blaze is white.